Our Clients - Kansas City, Independence, Lee's Summit | Pro Computer Solutions, Inc. 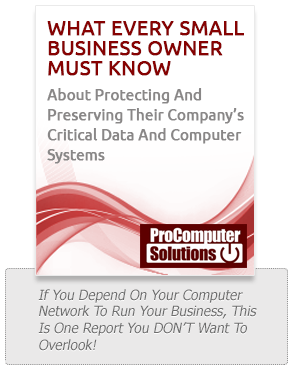 I have had the opportunity to work with ProComputer Solutions for several years. About a year ago, I left my previous employer for a new position and called PCSI to partner with our firm as our IT Specialist. PCSI handles our day-to-day IT needs. We recently moved our office location and PCSI worked with us and the building owners to design our network at the new office location. Our move went off without a hitch. The entire team at PCSI works hard to provide the best service possible to their clients. We are very lucky to have our partnership with PCSI. We are very happy to provide a reference for Pro Computer Solutions and in particular, David Downs and his partner Ryan Witt and staff Bryan McCorkendale. David is great to work with - explains the technology side of the tools in the language that we all can easily understand, works great with our staff one/one when it is needed to resolve problems. We have 100 workstations, multiple servers and 5 office locations that Pro Computer Solutions provides services for. We utilize their remote services for the most part which has made a significant positive impact on the timely response to our IT needs. The call-in service help line always has a person to take your call and the web based Help line is easy to use by all staff when a problem needs to be reported. Pro Computer Solutions stepped in when our prior contractor was leaving about 4 years ago and the transition was as seamless as possible for our staff and business functions. They provide the 24/7 monitoring of our systems and are great to help us in problem solving our network needs in a creative and functional means based upon our limited resources as a not-for-profit organization. We probably challenge them at times more than they would like but they always come up with an idea to address the need we have. 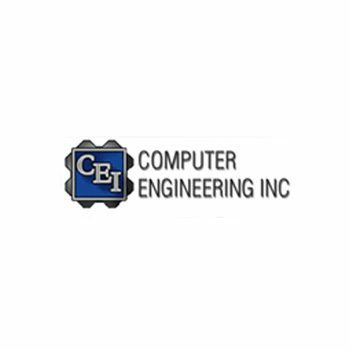 We can't say enough about their services to really show you how much we appreciate their willingness to work with us and be innovative in their thinking to keep our systems up and running. Every time I have a question you guys are right there ready to help. This is incredibly valuable to us in our deadline driven industry. For us, Pro Computer Solutions was the right IT company at the right time. With our previous IT solution, everything was such a jumbled mess! Today we have a beautiful network with 3 servers and dozens of workstations that just work right. We have repeatable processes, so when I tell them I just hired a new project manager, I know my new person will be mapped to everything and set-up correctly the first time, without any hassle. The ease and efficiency of using this service has helped everyone do their jobs better, and the remote access capabilities allows Pro Computer Solutions to rectify most problems without having to arrange a site visit. My people can be up and working again right away, every time. This is exactly what we needed.